One of our favourite weekends of the year is nearly here. 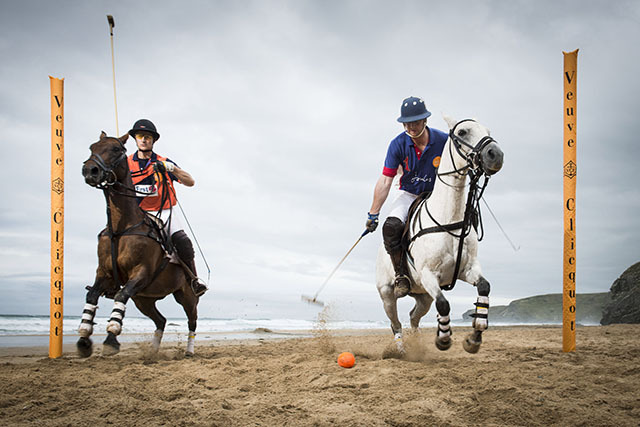 For the ninth year running Watergate Bay hosts GWR Polo on the Beach from 26 to 28 June. 6pm, Friday 26 June, “Cornwall vs Rest of the World”. 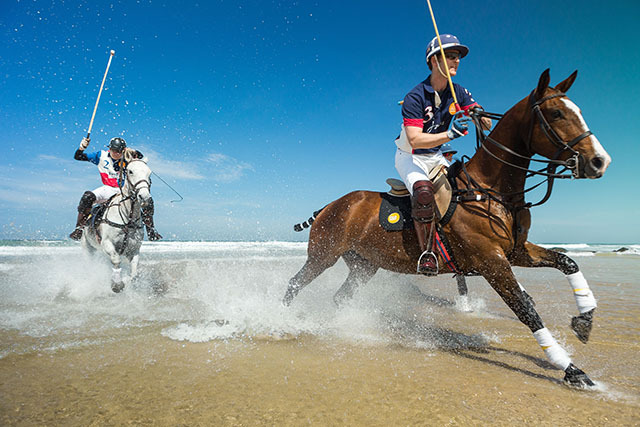 6pm, Saturday 27 June, “Watergate Bay Trophy”. 11.30am, Sunday 28 June, “The Sunday Friendly”. Entry to the matches, demonstrations and other entertainment is free. 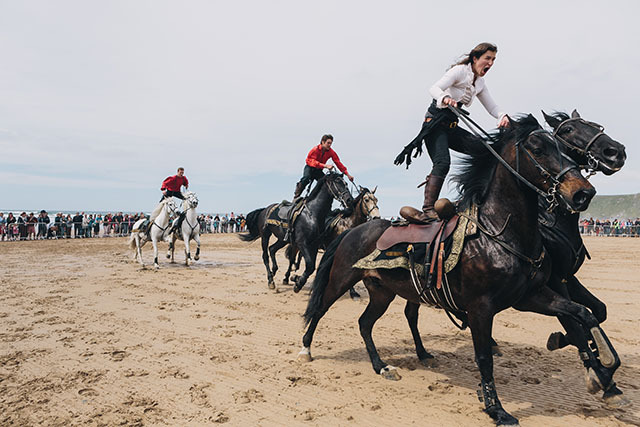 Don’t miss the two spectacular displays from The Devil’s Horsemen stunt team at 3.30pm and again at 5pm on the Saturday, and a fun family dog show at 12.30pm on the Sunday. 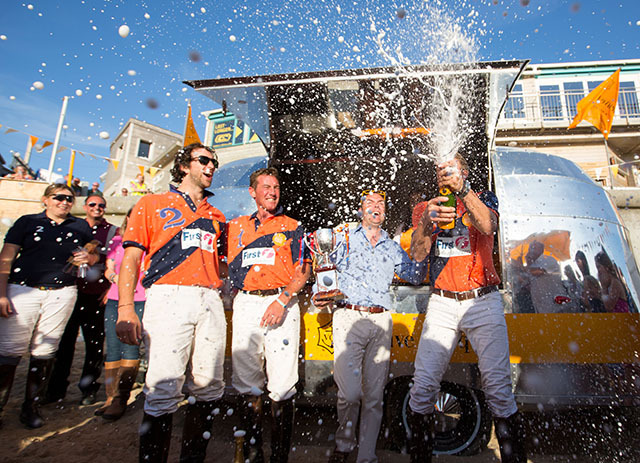 The first ever Polo on the Beach Party kicks off at 7pm on the Saturday evening, where you can join the winning team’s celebrations and rub shoulders with the players. There will be live music from Duke and DJ Krystal Roxx, as well as great food and drink from The Horse and Carriage beach bar, the Airstream Champagne garden, the Bath Gin cocktail bar and a selection of street food. We have two party tickets, worth £20 each, up for grabs. For a chance to win, all you need to do is fill in your details below before 12 noon on Friday 19 June. Good luck! The small print: No cash alternative. E-tickets will be emailed to the winner. 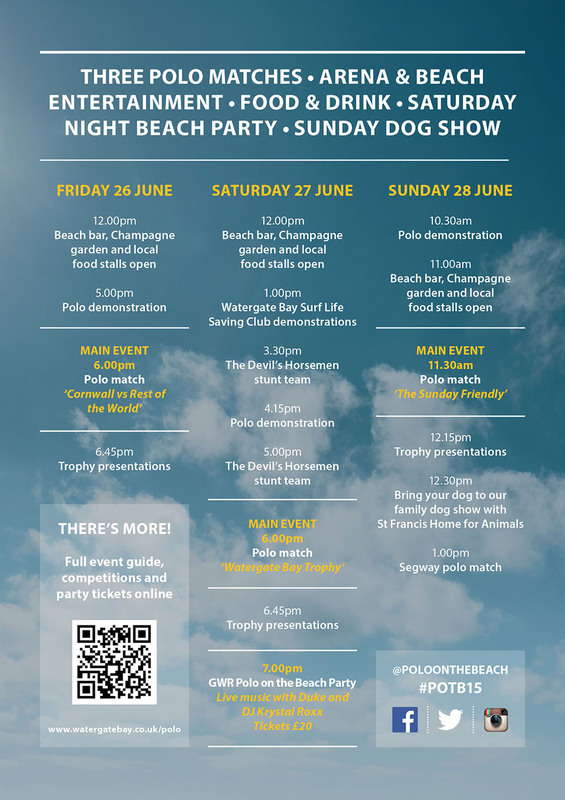 GWR Polo on the Beach kicks off at 12 noon on Friday 26 June, and the entertainment continues until the final match at 1pm on Sunday 28 June. Entry is free. For full details visit watergatebay.co.uk/polo. Beach party tickets cost £20 and are available online.